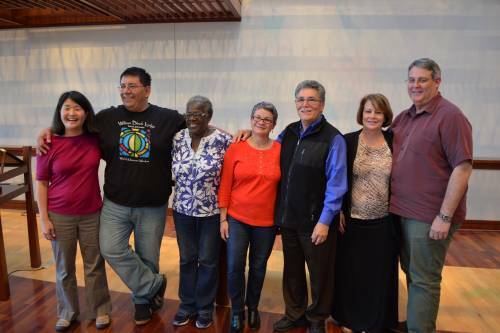 In late October we spent our time getting oriented as new international mission co-workers. Our days were full of meetings with Presbyterian World Mission staff, participating in conversations and sessions about Presbyterian mission, and making preparations for cross-cultural adjustments. With so much information to process and many people to meet, at times we felt more “disoriented”—but we were grateful for the space to learn and laugh with a new group of friends! In our smaller cohort, now we have friends who will be serving in Cuba, Malawi, Zambia and the North Slope of Alaska. Our daughter, Aurélie’s, circle has expanded and at the same time grown smaller through these friendships. For our family, this is the most time we’ve ever spent together and could consider it work instead of vacation. Juan the extrovert thrives in this environment, while I the ambivert enjoy my time with other people but still seek relief by being alone. As husband and wife and as parents, but also this time as mission co-workers, Juan and I are learning and re-learning new things about each other and especially about how we work. Our first “test” was preparing a seven-minute presentation about our sense of God’s calling to mission in the Philippines. Several days later we had a second opportunity to share a different version of this presentation with a Burmese Chin church during a homestay. Even though both of us are comfortable speaking in public, it took some extra time and patience to work together for us to prepare these presentations. We know insights like these are helpful during orientation, and we also anticipate drawing upon them to help us with our many transitions in the Philippines. Our daughter, Aurélie, enjoyed this extra time with us. She also enjoyed having the same wonderful babysitter we had when we spent time in Louisville to discern whether we would be appointed to this mission co-worker position. Because of the extra time with adults, she was also happy when she got to spend time with children closer to her age. 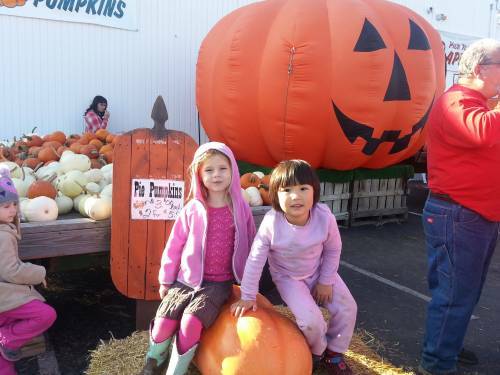 Over the first weekend she enjoyed fall activities like apple picking and scootering at a Louisville event called Cyclouvia. During the second weekend we stayed with a Burmese Chin family, which included their 2-year-old son, Samuel. As you might imagine, Aurélie and Samuel played well together without a common language. Additionally this gave all of us a chance to learn some basic phrases in the Chin language and start at the level of a child. Serving God’s mission as a family, we are seeking to honor our God-given gifts and abilities especially with our first few visits with congregations. Similar to our work in my previous congregation, we recognize again that we work well in distinct ministry areas. Going forward, while I have been invited to preach in Sunday worship services, Juan will make himself available to meet and engage with the youth around discussions and games that prompt conversations around God’s mission. We hope to continue these multigenerational conversations in our upcoming visits with other congregations or groups. We are grateful for the many ways that God has connected and reconnected us with congregations and individuals. Having started our life as a dating couple in Egypt and then having continued our married life and ministry together in Philadelphia and in Michigan, we are grateful for existing relationships and for those still to be developed and nurtured, now for the purpose of sharing in God’s mission in the Philippines. In the meantime, we are eagerly anticipating our earliest experiences in the Philippines. We hope to arrive in late January and are excited about how God has already been leading us and will continue to do so. Our first experience of the Philippines will be to attend a regional gathering with other PC(USA) mission personnel who are serving throughout Asia and the Pacific region. It is still unclear whether we will move to Manila immediately after that gathering or a few weeks or months later. A lot of these questions are still being worked out with the United Church of Christ in the Philippines, our partner church. Meanwhile we are aware of another gathering for all regional liaisons and regional facilitators in Louisville, planned for April 2016, in addition to a travel study seminar about human trafficking that is being planned for November 2016, sponsored by partner churches in Thailand and Cambodia and other PC(USA) ministry areas like the Human Trafficking Roundtable. Stay tuned for more details, and feel free to contact me for more information at Cathy.Chang@pcusa.org. In the coming weeks we look forward to sharing more concrete plans and dates for our departure to the Philippines. We still have a house to clean up, which we hope to sell before leaving in early 2016. We expect to spend time with family members in northern California during Christmas. Please pray for us as we make these preparations to leave the United States but also for the many adjustments and transitions as a mission co-worker family. Please become prayer and financial supporters of our ministry. As we begin this new phase of ministry we are humbled to know how deeply we depend on God and on your continued, faithful generosity. We’ve started a new blog, eveniftheskyfalls.wordpress.com, and we hope you will visit it to learn about our ministry as it develops. Thank you for becoming part of our family of support!